While we were talking, we also went back to 2013 and the last Q&A we did with MacKenzie. In that chat, we asked about social media, and the then 23-year-old indie artist and emerging actor told us she loved it. She said then, “I do like social medias because of the instant feedback and interaction. I try to keep fans up to date with what I’m doing and try to show them who I am and what I’m passionate about.”. We asked her again this week how she feels about social media and she had the same feelings. Anyone following her on Facebook, Twitter, or Instagram can see that MacKenzie is showing off the behind-the-scenes magic, promoting her work, and keeping everyone updated on what’s coming. She told us that she sees her social media channels as a great tool and a direct line of communication to her fans. She wants to be the one that shares news and announcements, and this is how she can do that. I also asked MacKenzie about the five years between our interviews, and what the biggest change has been for her. She said, with very little hesitation, that moving to Nashville was the #1 thing that she did. 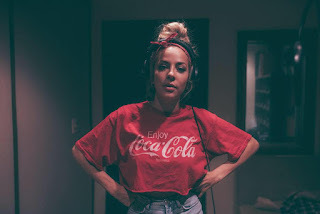 Being in Music City, surrounded by like-minded artists and songwriters, accomplished pros, and hungry talent, has given her the opportunity to push herself and grow. She told us about feeling ready to roll with new music the moment she signed with Big Loud but being coached to keep writing, to work her way up the ladder and hone her craft. The results can and will continue to be seen in the new music. It’s a big move from Medicine Hat, AB to Nashville, TN (nearly 1,900 miles if you’re counting), and while MacKenzie still says that her parents place will always be home, Nashville has been exactly where she needs to be and has felt comfortable as she grows and learns and moves forward in her life and career. One of the most memorable moments in our call with MacKenzie came when we were just talking about music and country and the changes in the genre. She said, (and we agree, 100%) that Good Music Is Good Music. She offered up names like Drake, Little Big Town, Miranda Lambert, and Justin Bieber, and said that when they release a song that works, it works. It doesn’t matter what the label is; it’s just good music. And she wants to make good music too. 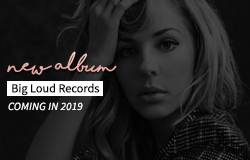 With the release of the first two songs as a member of the Big Loud family, and her re-entry into the world of country music, MacKenzie Porter has done it. This is good music. It’s fun, hooky, highly singable, and we can’t wait to see how her fans react to them. Q1. If you’re on a long drive and have to choose an album to listen to all the way through, which do you choose? MP. Off the top of her head, MacKenzie went with Kacey Musgraves’ 2018 CMA Album of the Year, Golden Hour. Q2. Do you have a dream duet partner? MP. The first name that came to MacKenzie was Dolly Parton. A legend and a dream partner if there ever was one. Q3. Is there a venue that sits at the top of your “I really want to play there someday” list? MP. Madison Square Gardens in New York City. Q4. Do you have a dream vacation? MP. Next on her vacay to do list is Africa, a place she hasn’t yet been but really wants to visit soon! Q5. Is there an artist that you think people should be paying more attention to? MP. MacKenzie gave us two names. 1) Julia Michaels, who she thinks is an emerging superstar and an underrated songwriter, not getting as much recognition in the public as she deserves. 2) Tenille Townes, whose latest single, Somebody’s Daughter has received a lot of attention and should be the start of something big.